The time of year has come again for Renegade Craft Fair. It is this summer, June 5&6th at McCarren park. I will be sharing a booth with Jill Davis From JDavis Studio again! I can't wait. This year I will be doing less baby stuff and more billboard bags, wallets, passport protectors, sock monkeys and cross stitches. Please please come out and visit and buy stuff!! 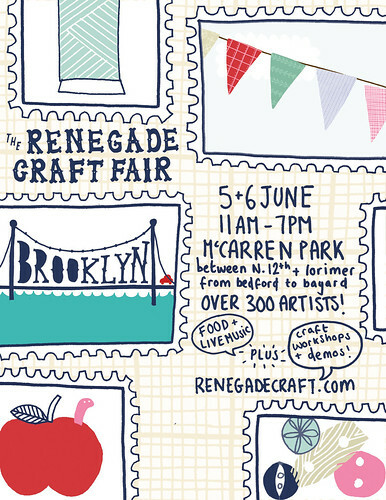 There will be so many cool vendors this year check them out at http://www.renegadecraft.com/brooklyn.